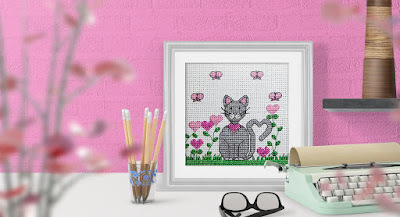 If you are tired of looking all over for cross stitch patterns, Or would like to have acess to hundreds without having to leave the house then this will benefit you BIG TIME!!! It's a monthly subscription service where you have access to thousands of patterns ( They always update with new patterns) There are different subscription lengths Monthly, Yearly. and Lifetime. There are so many cute and easy (for me) patterns to follow. They do have a wide range of patterns, especially for holidays. Cross stitching is a great way to relieve stress. They have an abundance of beginner patterns as well as intermediate and above. This is their website. I highly recommend this if you are crafty or even as a gift for someone else. Disclaimer: I received a free month subscription in exchange for an honest review. I absolutely love this service as its a great service and would make a great gift. The best part is that they are always updating new patterns so it never gets dull.